Is it bad that I really, really like these far more than Ryuusouger? You're not alone. I really love those more than Ryuusouger. Only if it is real Sentai series instead of dinosaurs Sentai series. This sounds interesting! I'd find it hilarious if they got a former Sentai actress for the lead. That'd be a brilliant marketing move. Those suits look good! EDIT: Didn't realize a cast was in place but my point still stands. that would have been funny. 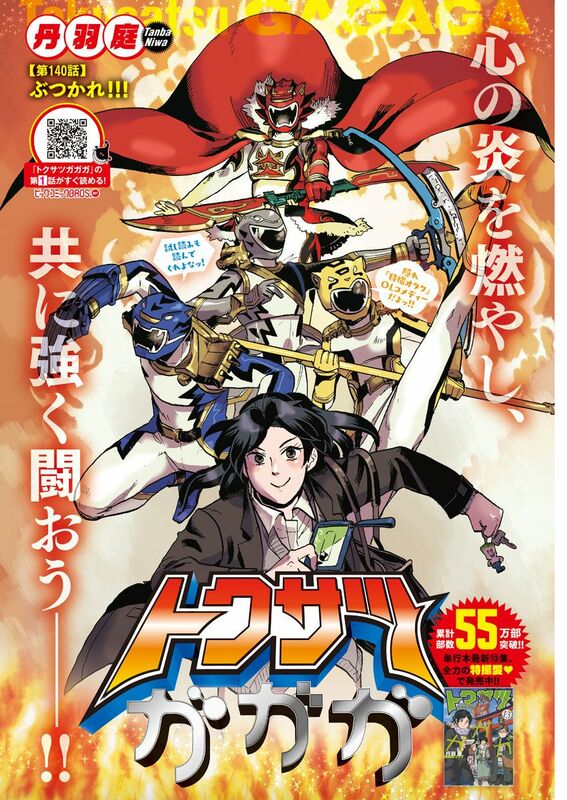 From what I've read of it, this is a really enjoyable manga if you're a Tokufan. I think that was Saban- but yeah, if it's this far in, it's probably fine. I'm just wondering because it's a completely different network. That's kind of silly. Looking at them, the only thing they look like they have in common with the movie suits is they're the same color. I guess any colored armor or spandex is a Power Ranger now. this sounds similar to Kanpai Senshi After V imo. we definitely need more (adult) toku parodies out there, ever since Akibaranger we've been lacking in some. Is this based on the look of the suits themselves or because of Ryusoulger's similarities to Kyoryuger? The trailer for the first episode is up now. Compared to the somewhat hokey-looking fake Sentai of something like After V, the Not Gekirangers look like they could be made by Toei. Last edited by Allio; January 3rd, 2019 at 09:34 PM. I was already interested, but I'm sold based on those trailers. Hope someone subs it. I'm really impressed by those suits. Imagine that, Japanese designers create a more Japanese design than American designers. I know, right. Such a shcoker. "Tokusatsu GaGaGa is an upcoming J-Drama series adapted from the comedy manga of the same name. In it, actress Fuka Koshiba stars as Kano Nakamura, an office worker who tries to hide her obsession with all things Tokusatsu from her friends and co-workers. The J-Drama series will be adapted into seven episodes which will begin broadcasting on NHK network on January 18th 2019 and the first trailer for this J-Drama series was just released online. " This is probably in the same vain as Akibaranger. I dunno that we'll get the manga officially translated, J-Dramas don't get a ton of attention outside of Japan. Interesting. I can't wait till this gets subbed gotta watch it. I like Zyushouwan a lot more than Ryusoulger. The team is called 獣将王 Zyushouwan, Animal Ruling Leaders. Warlord Genka - An enemy general who revives constantly, presumably the 4th?